Bit depth and sample rate are two different things. Sample rate deals with the time/frequency domain. The more samples per second, the more time-accurate the recorded data is. Higher sample rates tend to image better for this reason (compare 24/48 to 24/96 to see). Bit depth has to do with amplitude. Each bit can either be a 0 or a 1. This process occurs x times a second (where x is the sample rate). For 16-bit data, each of those 16 bits can either be a 0 or a 1, yielding 2^16 or 65,536 possible ways of representing a sample. Furthermore, each bit represents about 6 dB of audio, so 16-bit audio has a maximum theoretical dynamic range of 6*16 = 96 dB. On the other hand, each 24-bit audio sample can be represented in 2^24 or 16,777,216 different ways and has a theoretical maximum dynamic range of 6*24 = 144 dB. Bit depth and sample rate are independent of each other. The reason that people do not record 16/96 and such is that high frequency information is typically at much lower levels than the main part of the signal. On a 16-bit AD, this would be near the theoretical bottom of the dynamic range (for example, I have 24/96 recordings that have information from 20-30 kHz at about -80 dB. This description of sampling frequency is wrong. This is the logical way one might believe that sampling frequency works, and your graphs are very well laid out, but in the real world, its completely wrong. Think of it this way, if you have any 2 points on a circle, you can draw that exact circle. Having 3 points on the circle will not make it any more accurate. 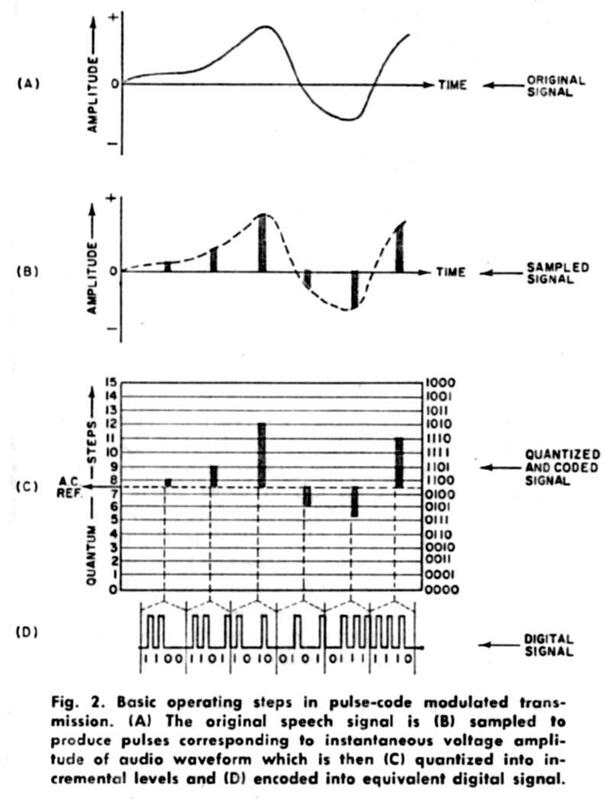 Nyquist Thrm shows us that we can reproduce EXACTLY any wave form with two pieces of data within the sampling frequency. Therefore, a 10,000 hz sound is exactly the same whether produced by 96000 samples, 44100 samples, or 22000 samples. When sampling we do have to remove everything that is more than half the sampling frequency. For example, we have to put a steep low pass filter starting at 20,000hz so that we remove all data above 22,050 hz when recording at 44.1khz. This filter might cause audible problems in the audible band, which is why higher sampling can improve audio- you can make a much more relaxed filter that starts well out of audible range and isnt as steep causing less phase shift down into audible range. The common argument against this is to look at a sine wave. Lets picture a 20khz sine wave. Sampling at 44.1k will only give us 2 points in this wave, yet we can reproduce it perfectly. Someone will often then draw a notch up or down in that sine wave and show that our sample wont include that notch. The overlooked flaw here is that the notch is of a higher frequency than 20khz. Hope this is helpful to those looking to gain a deeper understanding of digital sampling theory. (bolding above is mine) Ironic that in pointing out the error, the provided example analogy is incorrect. Good analogy though. It takes 3 points to define a circle, no more but also no less. two points will define a circle if one is the center. this is how a compass works. Right-o, the 'on a circle' part of the statment is the critical constraint in that case.